Thanks to our speakers, attendees, faculty, and staff who came together to learn, share, and connect in Amsterdam. Be sure to sign up to get updates on our next European Summit! Join us for the 4th Lean Healthcare Transformation Summit – Europe! Learn, share, and connect with healthcare leaders from around Europe and the world. Hear from globally recognized healthcare leaders about their organizational and personal leadership challenges and successes. Choose from a selection of interactive learning sessions and pre-Summit workshops for MDs, beginners, and advanced leaders and practitioners as well as post-Summit hospital visits. Keynotes will be in English or French, simultaneously translated into French and English. Learning sessions will be offered in English or French. 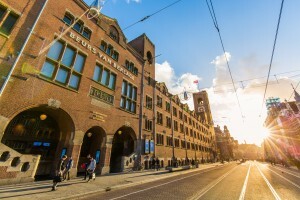 The Summit will be held at the historic Beurs van Berlage Amsterdam Conference Centre, right in the heart of central Amsterdam, just 5 minutes walk from Amsterdam Centraal train station. Get updates on our next European Summit!